Every twelve years Nadia’s town of Canaan goes through the Forgetting. Everyone in town forgets everything, their names, who their loved ones are and who they hate. Everyone but Nadia. Nadia remembers everything and she doesn’t know why. They all keep a record of who they are, carrying around books like we carry drivers licenses or ID’s. Nadia lives in a town that is barricaded against the outside world, but she frequently sneaks over the wall to explore. One day she gets caught by a boy named Gray who blackmails her into taking him over the wall with her. As they explore the outside world they make a discovery that makes them realize that they are a small part of a bigger picture and that someone may be using the Forgetting for their own nefarious reasons. This was truly one of the most original stories I have read this year and the fact that it is Sharon Cameron’s debut novel is pretty incredible. Nadia is one of the great female young adult heroine’s, in the same vein as Tris from Divergent. Her taciturn personality slowly changes as her friendship to Gray solidifies and she becomes more confident. When they realize what they are up against, she is willing to sacrifice her own happiness for the good of the people in her town. I can’t imagine being the only person to remember, seeing your own father wed and start a family with another woman. It would be pretty traumatic and I’m sure I wouldn’t have been as stoic. The romance between Nadia and Gray, grew with their friendship and having the next Forgetting hanging over their heads added a tension that grew as each fact was revealed. 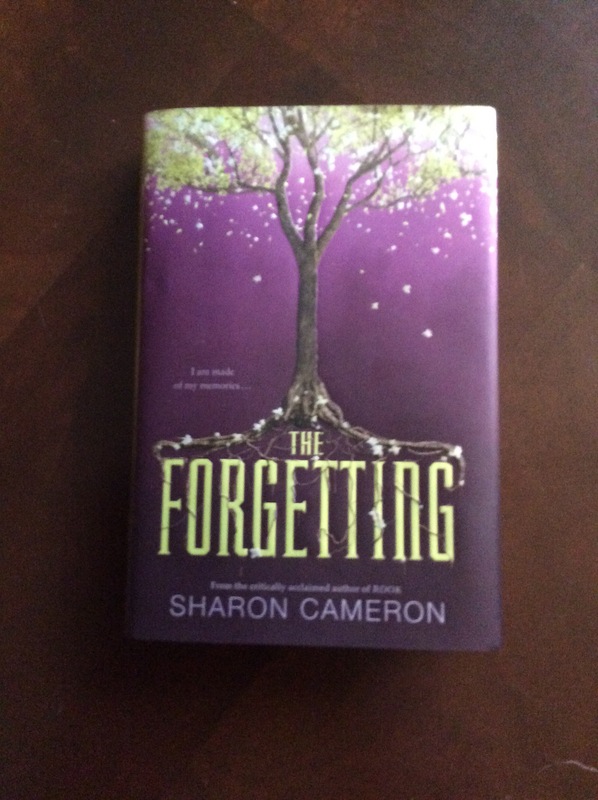 The Forgetting is my Unforgettable pick for 2016!